Geben Sie eine E-Mail-Adresse ein, an die Ihr neues Passwort versandt werden soll. [technative.io]Around the world, companies focused on artificial intelligence are generating buzz. Although established companies are investing heavily into AI, many fairly new organisations are securing funding and focusing on products that could be truly revolutionary. Here are some companies to keep an eye on. Although established companies are investing heavily into AI, many fairly new organisations are securing funding and focusing on products that could be truly revolutionary. Here are some companies to keep an eye on. Although SenseTime Group isn’t a household name, it may soon be, as the Chinese company is now the world’s largest AI startup, having raised more than 1.2 billion dollars in months. SenseTime’s AI technology focuses on facial recognition, and the company’s software is already on more than 100 million Chinese-made smartphones. SenseTime Group is also helping to bolster China’s homegrown talent. China aims to be the world’s leader in AI by 2030, and SenseTime is trying to help meet these goals by hiring and training local talent instead of looking for overseas workers. Small and medium businesses are critical for society, yet SMEs are increasingly being underserved for certain services. Loans, in particular, can be tricky, and bespoke loans are impossible for many SMEs to acquire in a short time frame. This is changing, however, with OakNorth. Their ACORN platform lets lenders provide tailored, bespoke loans in a short period of time, and artificial intelligence, including big data analysis and machine learning, plays a central role. Their platform aims to provide a one-stop solution. Mobile video advertising has become a staple of online outreach efforts. However, previous attempts to leverage mobile video advertising haven’t been as efficient as other forms of advertising. LoopMe, founded in 2012, creates a unified platform for delivering mobile video. Through AI-driven analysis, LoopMe is better able to connect users with advertisements they’ll find engaging, and this efficiency can make mobile video advertising twice as efficient. With major clients including Honda, Disney, and Microsoft, LoopMe has proven to be a popular platform and shows just how quickly effectively using AI can lead to revenue. The sheer volume of data stored in social media is astounding. Finding value among the noise, however, is notoriously difficult. Banjo’s goal is to allow users to find out what’s going on in the world through the posts, hashtags, and location data that typify social media. Users interested in information in areas as local as individual buildings can find useful data, and the optional filtering based on hashtags lets users find out what’s capturing attention. Banjo’s advanced artificial intelligence technology and easy-to-use web interface helps users make sense of the chaos of social media. Driving a vehicle requires skill and experience. Although current technology is more that capable of driving vehicles, putting together all of the needed pieces has proven to be difficult. 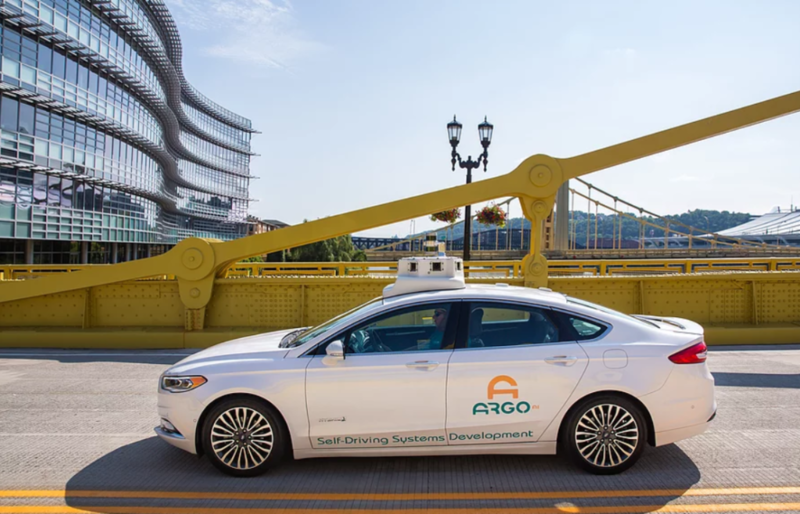 Argo AI, based in Pittsburgh, seeks to bring together the right talent and technologies to make self-driving vehicles a reality. Their efforts have attracted attention: Ford Motor Company recently became a partner, meaning Argo AI technology will likely be coming to vehicles in the near future. Within the industry, Argo AI is generating buzz as well, and it’s becoming a preferred destination for many people with self-driving vehicle expertise. Business owners and managers know AI is powerful, and they know they’ll need to keep up in order to remain competitive. However, knowing where to look and what AI technologies to explore can be difficult. Element AI is run by some of the world’s leading researchers in AI, and their academic and business experience places them at the forefront of modern AI development. Furthermore, the company owns the largest privately held Canadian AI research lab, and the faculty fellow network ensures their clients can be connected to the right experts. AI is a broad field, and Element AI’s goal is to ensure their clients can make sense of the landscape and invest the right way. Energy consumption per capita in wealthy nations is dropping, but there are still substantial efficiency gains to be made. Stem aims to bring “energy superintelligence” to the world by delivering software-driven, and AI-powered, approaches toward energy distribution and consumption. Energy storage has long been viewed as a cornerstone of modern energy, yet managing storage can be difficult without real-time data and powerful AI systems. Stem is proving itself as a leader in bringing this technology online, and with more than 30 Fortune 500 customers, it’s gaining significant traction and interest. The disjointed nature of software means there’s rarely a one-stop solution for automation. Robotic Process Automation, which relies on so-called software robots, provides a means to automate nearly any task that doesn’t absolutely demand human interaction. Based in Romania, UiPath is helping companies automate tasks regardless of the software they use. Legacy software, in particular, can be difficult to integrate into modern workflows. AI-powered software robots can handle any application designed for human interaction, including software that may have been written decades ago. The enterprise is critical for AI, but enterprises move slowly. C3 IoT provides an enterprise-focused AI solution designed to deliver new technology and go-to-market initiatives to accelerate AI and IoT application development. Thanks to its partnership with Microsoft, C3 IoT is poised to be a premier AI provider, and the company aims to cover a broad range of use cases, including inventory management and healthcare operations. Learning how to best treat and defeat cancer has been perhaps the most valued goal in medical research. While progress has been steady and overall survival has increased significantly over the decades, the sheer volume of data needed to understand cancer has become overwhelming. Tempus brings data analytics to cancer research, and their large datasets hold valuable information to mine and study. With partnerships at more than 50 research hospitals, Tempus is emerging as a leader in terms of combining AI-driven data analysis and modern medicine. Robotics and the cloud are critical for modern technology, yet there’s been seemingly little interest in combining these two technologies. 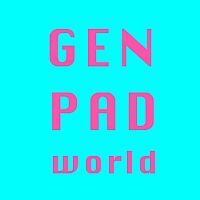 CloudMinds wants to bridge this gap and create the first generations of cloud-powered robotics. With mobile connectivity and tools for combining human intelligence with AI, CloudMinds is attracting attention across a wide range of fields, and partnerships with major universities and some of the world’s largest manufacturers may make cloud robotics the standard in the near future. As technology becomes even more ingrained in our daily lives, security risks become even more acute. CrowdStrike offers a cloud-based approach toward endpoint security, with the goal of rapidly detecting and mitigating attacks as quickly as possible. Security threats are also evolving, and it’s not always easy to change a company’s approach to security as a fast enough pace. CrowdStrike provides a more robust and adaptable solution. With five-second visibility and a proactive approach. CrowdStrike leverages AI to keep data secure. China is aiming to become a world leader in both automobiles and technology, and Pony.ai seeks to excel at both technologies. The first company to bring self-driving fleets to China stands to reap significant rewards, and Pony.ai is attracting bother the money and talent needed to succeed. Deep connections to Silicon Valley will allow Pony.ai to tap into foreign expertise, and the company is the first to receive a license to test self-driving technology in Beijing, giving them an advantage over competitors. Based in Manchester, MindTrace seeks to bring more human-like functionality to AI systems. MindTrace’s technology works with minimal supervision; its software relies on sensors to constantly receive input from the world and learn as much as possible. This generalized approach toward AI and learning makes MindTrace’s technology potentially useful in a number of fields, but it also makes it difficult to predict where the technology will end up. The hope, however, is that using more human-like processing will lead to more human-like cognitive capabilities, potentially leading to breakthroughs other AI technologies can’t match. Smart Cities Workshop at British Embassy in Prague. [HN- Adéla Očenášková] V rámci letních olympijských her v roce 2020 se Japonsko chystá představit nový vysokorychlostní vlak typu maglev. Stroj "letící" nad kolejemi bude pro některé japonské cestující do budoucna dokonce výhodnější než letadlo. [Goh Sui Noi China Bureau Chief In Beijing] Smart technology cannot replace wise planning in building a city, Singapore's former master planner, Mr Liu Thai Ker has said. Many young planners put blind faith in technology, thinking that knowledge of technology is enough to plan a city well, and this is the reason why urban environments do not do well, he said yesterday at a forum in Beijing. [April 20, 2018 by Christine Steinmetz, The Conversation] Smart cities, digital cities, virtual cities, connected cities. Are these just trendy buzzwords? Perhaps. But these types of cities are supported by infrastructure that is more than bricks and mortar. Geben Sie eine andere E-Mail-Adresse ein, an die wir die Bestätigung Ihres Profils schicken können. Falls Sie keine E-Mail erhalten sollten, überprüfen Sie bitte auch Ihren SPAM-Eingang. Gegebenenfalls wenden Sie sich bitte an unsere Hilfe - technischer Support.